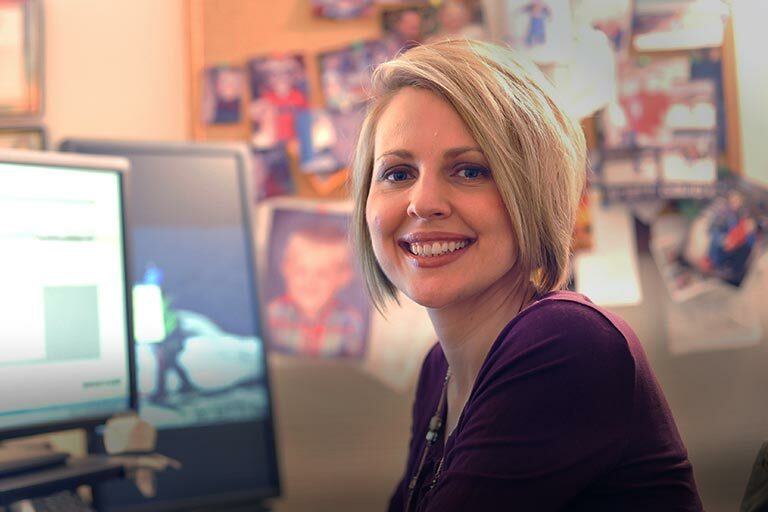 By buying this product you'll earn up to 14 Rewards points. Absolutely love it! Came quick, runs faster than the card I had. Fantastic packaging. Overview: The Samsung EVO microSD memory card allows you to store hundreds of photos, movies, and audio files on your smartphone, tablet, action camera, or other compatible device. 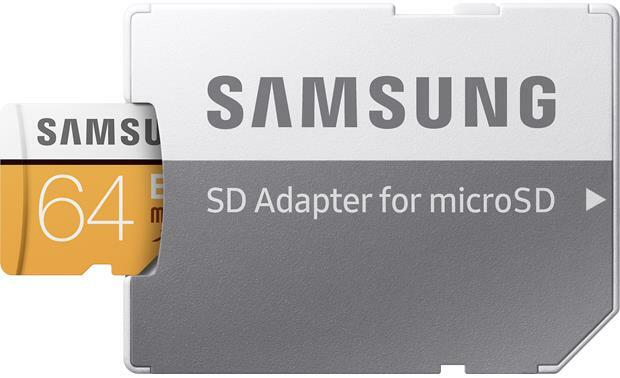 This 64 GB card can be used with devices that are compatible with microSDHC memory cards. 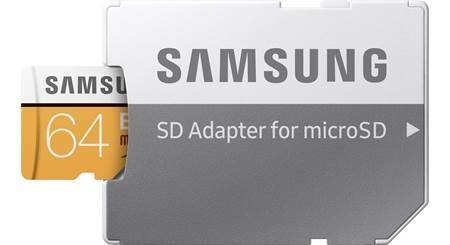 A full size SD card adapter is included to make the card compatible with many laptops and full size SD card devices. Usable Memory: This 64 GB microSDHC memory card has a usable capacity of 93.1% of its labeled capacity, or approximately 59.58 GB. A portion of the card's capacity is used for system files and maintenance. 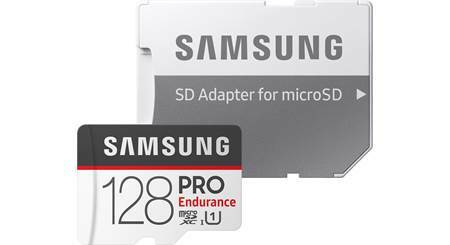 Transfer Speed: The memory card has a blazing fast transfer speed of up to 100 MB per second. The card carries a Class 10 (SD speed class) and Class U3 (UHS-I Speed Class) rating. This card is recommended for recording 4K UHD video. 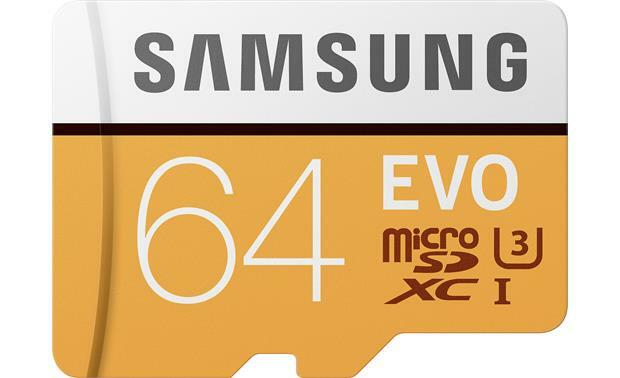 Durability: EVO series microSD cards are built to last for years, and carry a limited warranty of 10 years. The card features superior reliability when used in harsh environments. The card is waterproof (IEC 60529 and IPX7 ratings), x-ray proof (up to 50 Roentgen), and can withstand magnetic fields equivalent to an MRI scanner (15000 gauss). It can be used in extreme temperatures, between -13°F and +185°F. Its non-operating temperature range is -40°F and +185°F. Note: The 10-year limited warranty does not apply for use in surveillance cameras or CCTV systems. The warranty for the SD card adapter is 1 year. Searches related to the Samsung EVO microSDHC Memory Card Class 10, UHS Speed Class 3 (64GB).